Tuition fees and the type of loans available to help with them are different in the different countries that make up the UK. However, across the whole of the UK, students from the EU benefit from the same fee levels as UK citizens, in contrast to students from outside the EU who have considerably higher fees. In England and Wales, public universities are allowed to charge tuition fees of up to £9,000 per year for undergraduate programmes. Not all universities charge this upper figure, but many do. The average annual tuition fee for an undergraduate programme in England and Wales is £8,500. In Northern Ireland, the upper fee for EU and Northern Irish students taking an undergraduate programme is £3,685. However, English, Scottish and Welsh students attending Northern Irish universities are charged a higher fee. In Scotland, the undergraduate tuition fees for UK and EU students are £1,820 annually. The tuition fees for private universities and colleges are not regulated. They are usually higher than those of public universities, ranging from £12,000 to £25,000 per year for an undergraduate programme. However, some private universities have tuition fees as low as £5,000-£6,000 per year for an undergraduate degree. Postgraduate tuition fees are not regulated and depend on the course provider. The average annual fee for a research doctorate is £3,900. In addition to tuition fees, students in the UK pay on average an extra £861 annually to cover the cost of course books, computers, travel to and from the university and other study-related expenses. Living costs in the UK vary enormously depending on the student’s lifestyle and personal choices, as well as the area where they are living. Studying in London costs more than studying in other areas of the country. According to the most recent figures published by the UK’s National Union of Students (NUS), UK students living outside of London spend on average £12,056 on living costs. This includes £4,834 for rent, £1,956 for food, £316 for household items, £42 for insurance, £2,074 for personal items, £1,524 for travel and £1,310 for leisure. In London, students pay on average £13,388 for the same items. The main difference between London and the rest of the country is the cost of rent. The average student rental price in London is £6,143 per year. There is some public support available for undergraduate students in the UK, but it is different in each of the UK countries, and some types of assistance are restricted to UK citizens. In England, Wales, Scotland, and Northern Ireland, home citizens with a low income can receive a grant towards their living costs. This is not available to EU or other international students, although those who are normally resident in the UK may be able to apply. EU students in Wales can apply for a grant of up to £5,315 towards the cost of their undergraduate tuition fees. In Scotland, the Student Awards Agency for Scotland covers the tuition fees for EU students who meet certain eligibility criteria. The Access to Learning Fund is an additional government fund for UK students in England, which is also open to EU students who have been living in the country for more than 3 years. This fund is a last-resort for students who have already applied for all the other grants and loans that they are eligible for. It aims to provide emergency relief to students so that they will not have to quite their course for financial reasons. EU students in the UK can apply for certain scholarships and bursaries. There exist a huge variety of scholarships. You can find unusual and also need or activity-independent scholarships. Most of these are for postgraduate studies, but a limited number are available to undergraduate students. For example, the Erasmus scholarship scheme supports EU students taking undergraduate or postgraduate programmes abroad. The National Scholarship Program is a nation-wide programme that provides low-income UK and EU students with financial support. Applications must be made through the individual college or university. The UK research councils also fund certain postgraduate research projects carried out by UK and EU students. The areas of research eligible for funding are: Arts and Humanities; Biotechnology and Biological Sciences; Engineering and Physical Sciences; Economic and Social Research; Medical Research; the Natural Environment and Science and Technology. 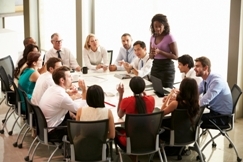 A growing number of businesses are starting to offer educational scholarships in the UK. Some of these are open to EU students. Individual colleges and universities often offer their own scholarships and bursaries. These account for the majority of scholarships available in the UK. Undergraduate students from the EU are entitled to apply for loans to cover the cost of their tuition fees. These are not grants, and will need to be paid back after the degree programme has finished. Students at higher education institutions in England can apply for a loan of up to £9,000, which is the upper limit for tuition fees. 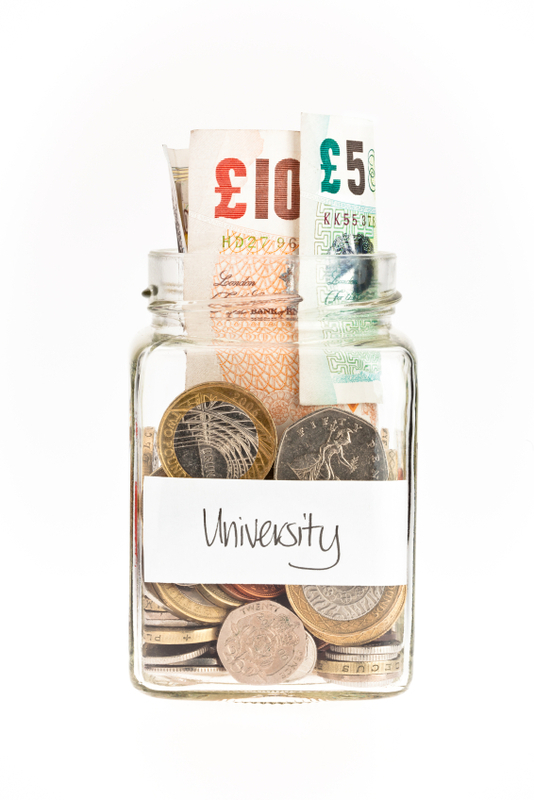 Loans of up to £6,000 are available to students studying at private universities. Students in Wales can receive tuition fee loans of up to £3,685. If their tuition fees are greater than this, they can apply for a fee grant of up to £5,315 to cover the difference. As in England, students at Welsh private universities can take tuition fee loans of up to £6,000. Undergraduate EU students in Northern Ireland can apply for tuition fee loans of up to £3,685. The Student Awards Agency for Scotland offers loans to postgraduate students studying in Scotland to help with the cost of tuition fees. Postgraduate students in the UK often fund their studies with Professional and Career Development Loans, offered by two major high street banks. However, these loans are only available to students who have been resident in the UK more than three years. UK citizens embarking upon higher education can apply for means-tested maintenance loans and grants, which are designed to help with living costs. However, these are not available to EU or other international students. EU students are entitled to work in the UK in the same way as local students. They do not need a special work visa, and there is no restriction on the number of hours they can work. However, it is necessary to obtain a National Insurance number so that the correct tax and national insurance deductions can be made.